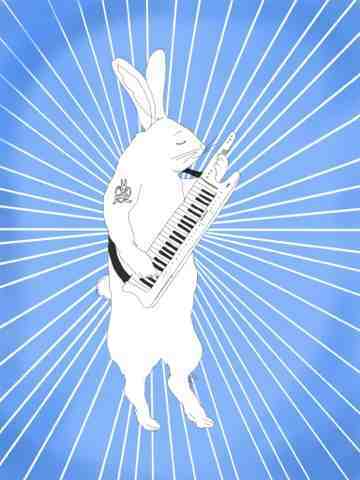 Most bunnies struggle with Electro Rock music. It's the ears you see, the frequency of electronic music just sends them wild. Huburt or his stage name Hardman has indeed had too much, wildness runs through his veins. When the club, pub or anywhere with a stage finishes up for the night, out pops Hardman. His rendition of "Run, Rabbit Run" is particularly chilling.